New future cars have always been in limelight at the international auto shows. Moreover, being the most awaited and esteemed car show in the world, Geneva Motor Show reveals some of the top vehicles with futuristic technologies and impressive performance. Many vehicles were showcased at the latest 2018 Geneva Motor Show with the capability to mesmerise the car enthusiasts with their looks, technologies and dominating appeal. The latest autonomous cars technology is under main concern for leading automakers, and thus the autonomous vehicles at the 2018 Geneva Motor Show had been in the limelight. Also, the electric vehicles are now going to be part of our future mobility very soon. This is an obvious fact now that upcoming auto shows will be showcasing more of the self-driving technology and the futuristic electric motors making our new future cars more efficient and powerful without harming the environment at all. Here is a brief review of Geneva Motor Show’s two best futuristic vehicles laced with powerful electric motors and self-driving technologies. 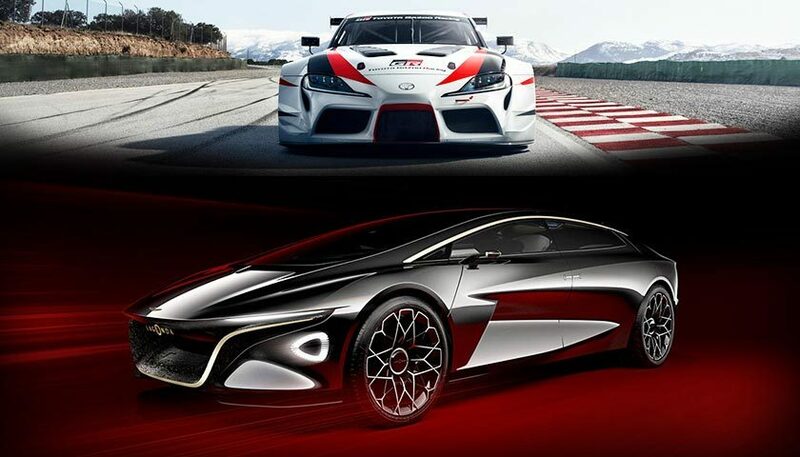 Unlike to the Supra and Gran Turismo fans expectations, the Toyota GR Supra Racing Concept is not a road car. This legendary vehicle in new future cars returns with cutting-edge technology and the same high-performance DNA which has kept the Toyota sports car ahead. The company plans to bring the new Supra in the 21st century with a fifth generation design, capable to deliver world-class performance and handling without any compromise. The new future cars revealed in the 2018 GIMS is based on a compact two-door and has given a front-engine/rear-wheel-drive configuration. It has given the most advanced materials to make it lightweight for giving optimum performance. The GR Supra Racing Concept seems to come out of the video games but it’s the iconic sports car which was first appeared in 1978. It is a two-door sports cars created by TOYOTA GAZOO Racing and reflects the true ideology of Toyota to make ever-better cars which are “fun to drive”. This racing sports car concept has received a very dramatic body design, including a large wing at the rear and gives it the complete sports car look. The strong yet lightweight material is used to make this new future cars latest vehicle and has design elements to make it look more appealing from every angle. The wide rear and front bumpers, rear diffuser and front splitters, door mirror housings, rear wing and side skirts look sporty and give the race-ready performance to the vehicle. The GR Supra Racing Concept features a lowered front and rear suspension chassis, BBS racing wheels with centre-nut attachment are fitted with Michelin racing tires and Brembo Racing callipers and discs for the breaking system alongside a racing exhaust. 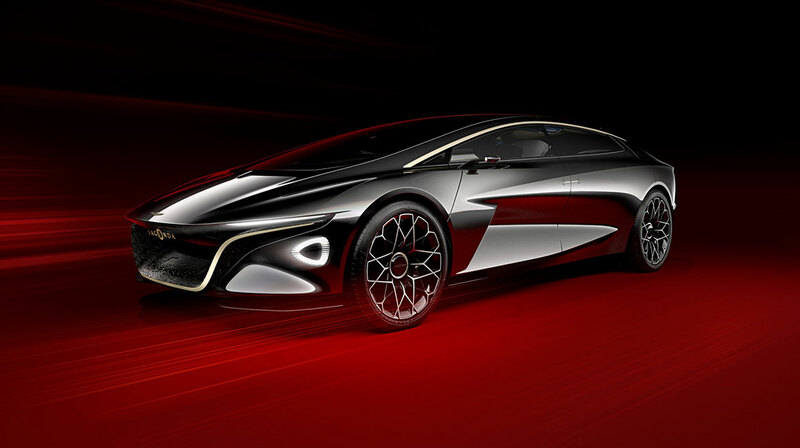 Aston Martin showcased the new future cars best and most advanced concept of the Lagonda Vision Concept by stepping into emission-free luxury and a new range of state of the art vehicles category. Lagonda is the world’s first zero emission luxury brand in new future cars category, laced with autonomous driving technologies and advanced electrification and going to bring revolution in the automotive industry with this new invention. This new range of future cars reflects sheer luxury, modern design philosophy and continuing the old-fashion approach of the brand to bring the best and luxurious vehicle for its loyal customers. Aston Martin has made this new concept with an incredibly bold design and brought electrification revolution in the latest Lagonda concept. Moreover, the company claims to have a design language which does not has a plug-in power source in front of the passengers and the floor has occupied the batteries to make this vehicle look more classy and modern. NEWS: Lagonda set to revolutionise the luxury SUV. The design of this new Lagonda concept showcases the ingenuity of the designers, as they have created this vehicle a bit shorter and lower than traditional limousines without compromising its radical design. The spacious in-cabin space gives ample room for the passengers to ride in comfort and luxury. The cabin can be compared with a luxurious first class cabin of a conventional airliner, without occupying hefty space on the road as well. The designers had ditched the Parthenon grilles and massive frontal areas but even then it looks distinctive from every angle. It offers an emission-free and superior-luxury mobility in a modern designed vehicle. The interior of this new future cars category Lagonda has material which was never expected by anyone. It has the finest material like carbon fibre, ceramics, cashmere and silks to design the interior. The perfectly luxurious interior having silk carpets, hand woven upholstery, functional ceramic tiles that are used to open and close to alter the ventilation and adjust the music volume leaves the onlooker in shock. 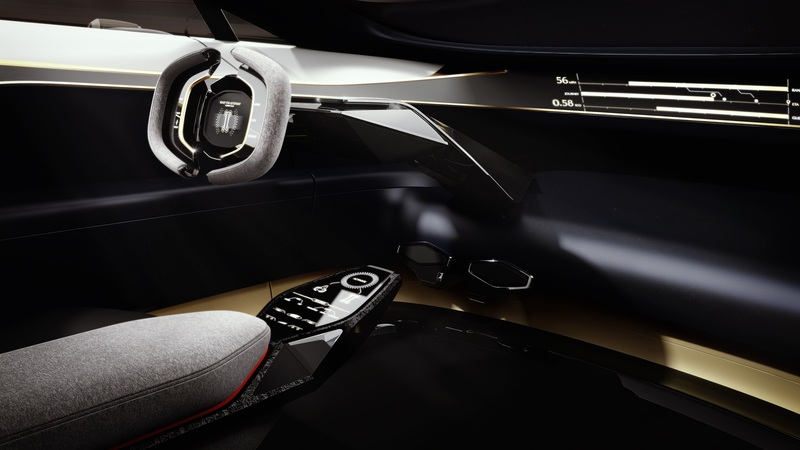 The cabin is equipped with luxury materials, advanced technologies and perfectly trimmed seats making the Lagonda “Vision Concept” a remarkable vehicle to wait for. The Lagonda concept is bigger than conventional, its roof opens upwards and the occupants can even stand up inside the car and walk out or step into it straight. This vehicle provides occupants with a completely new way of mobility around and in luxury. The front seats sit on the cantilevered arms extending from the floor outside and do not intervene in the comfort of rear passengers. The level four autonomous driving makes this car capable of driving in all routines by itself on recognisable roads. The steering wheel can be rotated to 180 degree, allowing the driver to have face to face conversation with the rear passenger. The bespoke concierge services allow drivers to have a new level of connectivity and cyber-security to even in their cars. The vehicle is planned to be produced in 2021. The future of luxury mobility is not far away from the world today. The modern and luxurious concepts showcased at the 2018 GIMS have everything to offer, from high-quality materials to futuristic technologies and incredibly bold designs. The new future cars have what all has not been imagined and expected but offers the new era of luxury, advanced technologies and autonomous driving.